Sixty-four firefighters and 52 paramedics graduated from the Chicago Fire Academy Friday. CHICAGO (WLS) -- Friday is graduation day for dozens of firefighters and paramedics now ready to serve Chicago neighborhoods. 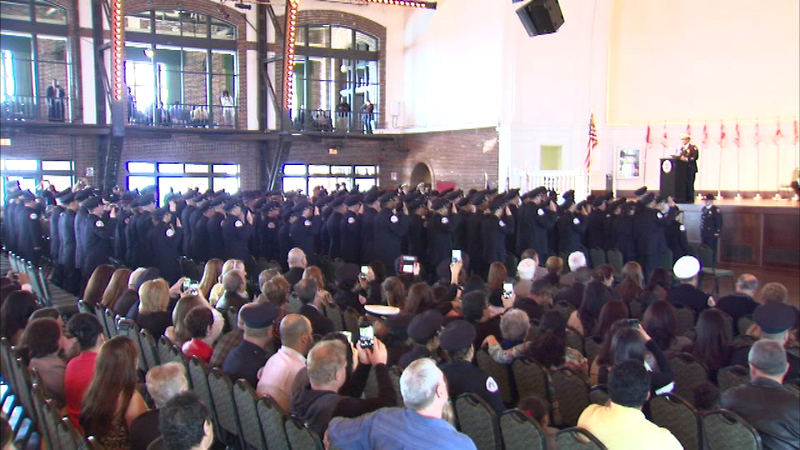 Sixty-four firefighters and 52 paramedics graduated from the Chicago Fire Academy. Mayor Rahm Emanuel joined Fire Commissioner Jose Santiago and other officials at Navy Pier. Three of the graduates are family members of firefighters who lost their lives in the line of duty. ABC7 morning news anchor Terrell Brown emceed the program.